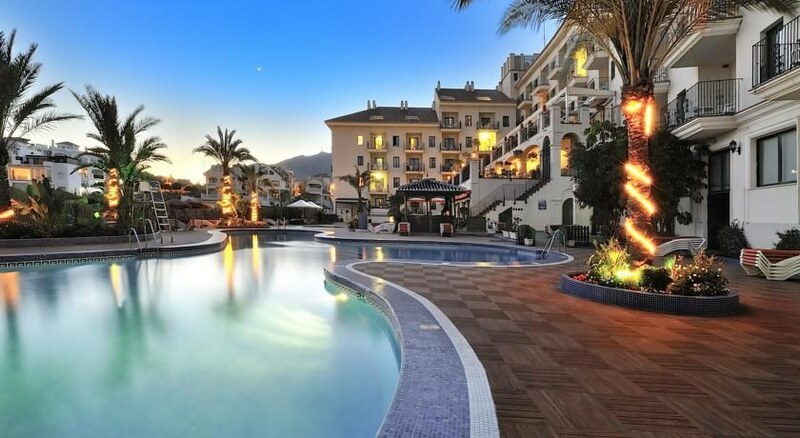 Set amidst the beautiful surroundings of Costa del Sol, Benalmadena Palace gives you the complete experience of a family vacation. Spectacular views of the sea, comfy rooms with great service, and plenty of leisure and entertainment options make this hotel the ideal choice when it comes to spending quality time with family. 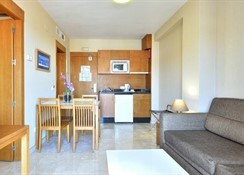 Opened in the year 2004, the hotel has 148 apartments and 34 studios, with a qualified and friendly staff. Children will love the hotel’s sports areas, solariums, swimming pools and summer terraces. Guests can also enjoy free parking, Wi-Fi facilities and live performances every night. The nearby marina, with its expansive promenade, is filled with hip clubs and bars, great for shaking a leg and trying out a delicious cocktail or two. 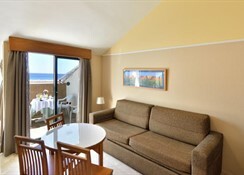 Benalmadena Palace is situated at the heart of Costa del Sol. It is just 250 metres away from the beach and 3 kms away from the motorway, Autovia del Mediterrano. The nearest airport is Malaga, although there are three other airports in the vicinity of the hotel. The hotel has 182 rooms in total. All of them are either studio apartments or one-bedroom apartments with balconies. Guests can choose their boarding options: self-catering, bed & breakfast, full-board and half-board. The one-bedroom apartments come with twin beds, balconies with stunning views and living areas with large sofas. The studio apartments come with sloping ceilings, double beds and terraces. 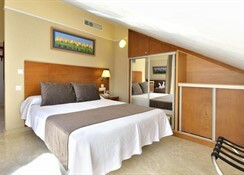 All rooms are provided with en-suite bathrooms, in-room safes, air-conditioning and heating, and free Wi-Fi facilities. The main buffet restaurant of the hotel serves breakfast and dinner. While breakfast consists of a wide selection of cereals, juices, cold cuts, cheeses and fresh fruits, dinner includes Mediterranean and international dishes. Situated next to the pool is the snacks bar, which serves sandwiches and pastries throughout the day. Bar La Biznaga welcomes guests every evening with promises of delicious cocktails and a good time. For a more relaxed atmosphere, there is Disco Bar, which serves cocktails and hard drinks with live television. The hotel pulls out all the stops to ensure you have a great time. For kids, aged 4 to 12, there’s a Mini club – a space which enables them to pick up social skills through playful activities. For all children over the age of 12, there’s the Maxi club, which focuses on sport-based activities, such as shooting, archery, dart and football. The hotel also provides outdoor and indoor pools with separate areas for your children. The indoor pool is a heated one and is great for spending a relaxing afternoon. We stayed in October 2017 and really enjoyed. The hotel was clean and had plenty to offer. The bars and pools were lovely. The hotel was definitely a family friendly one although the Hill up to it would be a struggle for families and older people. There is a supermarket within walking distance.